Name: Sage Saturday Take Over! 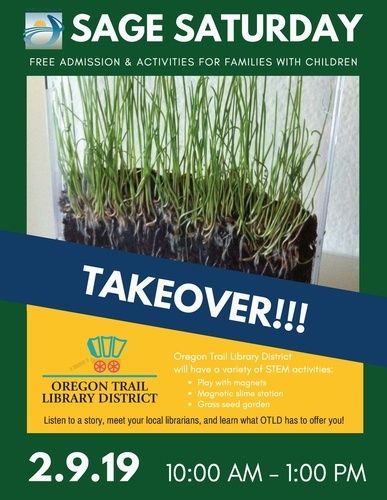 Oregon Trail Library is taking over! Play with magnets, magnetic slime station and grass seed garden.